"Rush" is owned and loved by Tianna Langelotz & co-owned by Barb Breuer and was bred by Barb and Raymond Goldstone. Rush finished his Canadian Championship by 7 months and his Canadian Grand Championship at 11 months . 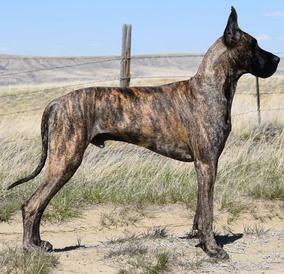 Along the way he took seven Best of Breed wins over numerous notable specials and tallied eight Best Puppy in Group, two Best Puppy in Show and one Group 2. 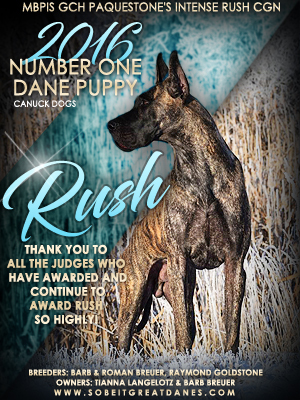 Rush finished 2016 as the #1 Great Dane Puppy in Canada according to CanuckDogs (most BPIS & BPIG wins). Rush finished his American Championship in 2017 winning three majors and a few singles to finish up. Rush was owner-handled to one major and nine points total, and professionally handled by Peggy Mignon to his other points. 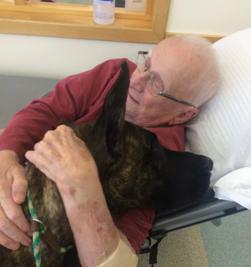 Rush spends his free time visiting a local nursing home and has since he was 10 weeks old. 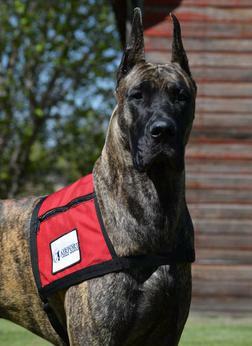 In February 2017 he officially passed his Therapy Dog certification. Rush is also getting ready to enter the ring with a Junior on his lead (see photos below). 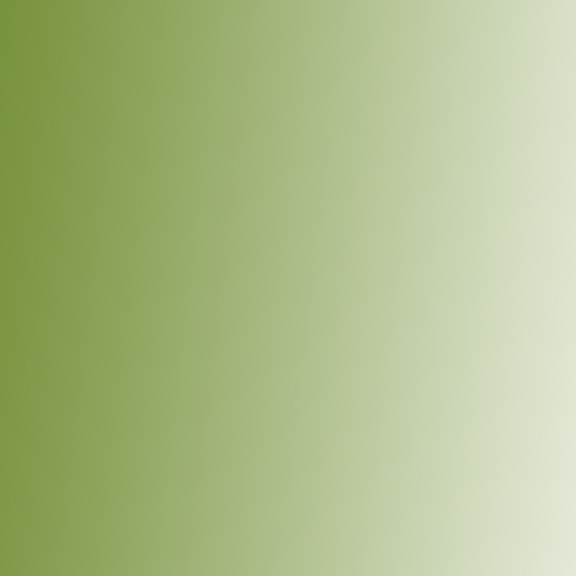 Rush has completed his health testing, and has his CHIC #. 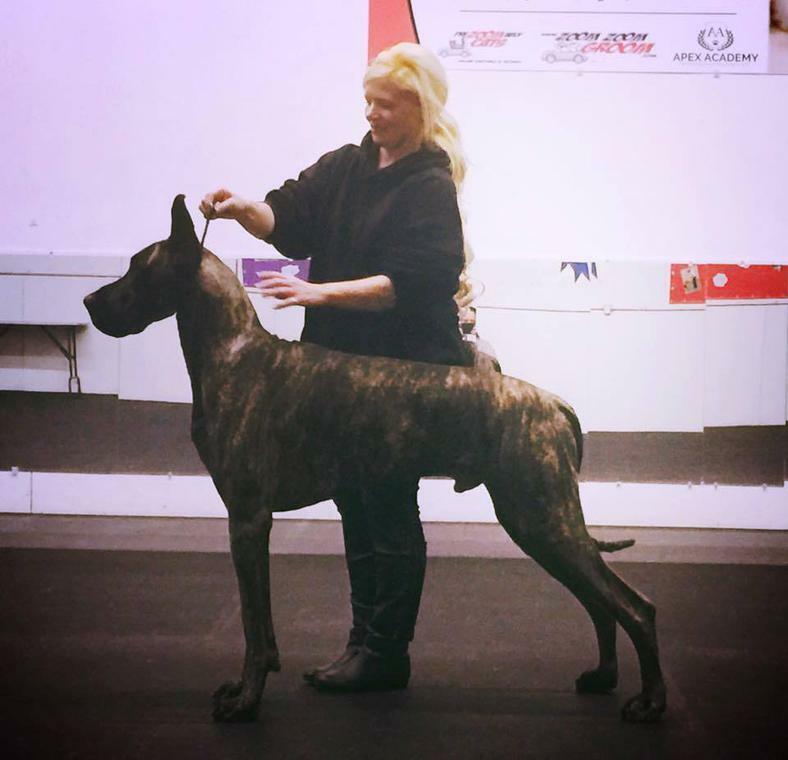 He is currently standing at stud at Sobeit Great Danes and is available live, fresh-chilled or frozen (85% post-thaw motility). 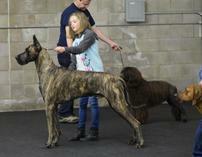 Rush is a proven stud having produced a litter of seven (3 boys, 4 girls) in Denmark.